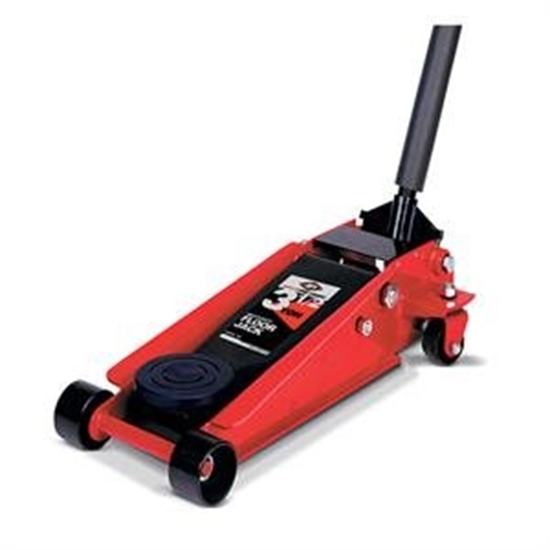 The AFF 350SS 3 1/2 Ton Heavy-Duty Jack W/ Double Pumper assists in quicker lifting. This Heavy Duty Jack with Double Pumper offers all the features of AFF's Model 350GT with additional speed and efficiency, thanks to AFF’s double-pumper advantage for quicker lifting. Lifts from 4" to 19-1/2"
Since 1963, American Forge and Foundry (AFF) has provided a full selection of “forge-tough” heavy-duty and automotive service equipment necessary to meet the lifting, shop equipment, shop maintenance, lubrication and material handling needs of service facilities and repair shops nationwide. AFF and Viking products are well-known for their durability, value, and dependability. AFF's products are tested to meet AFF’s quality standards and many exceed ANSI requirements for performance and safety. It’s common to find AFF jacks and shop equipment still in active duty after many years of service. That’s why thousands of professional vehicle technicians depend upon the durable AFF brand to help them get their daily work done more efficiently... because it works! I’ve only used it a few times but so far so good.